Vilma V on "Upfront" at KPFA interviews Dr. Larry Brewster of USF, Laurie Brooks of the William James Association and Guillermo, an artist who benefited from arts in corrections programs about the upcoming arts in corrections conference and the power of the arts to change lives. LISTEN HERE! Keynote speakers include Wayne Kramer, a nationally known rock musician who founded Jail Guitar Doors after being incarcerated at a federal prison, and California Senator Loni Hancock, Chair of the California Senate Public Safety Committee, Chair, of the Budget Subcommittee on Corrections, Public Safety and the Judiciary, and a member of the Senate Education Committee. Please indicate your attendance at the San Quentin showcase by registering before April 20. More detailed information will be requested in a separate email from the San Quentin Prison Arts Project. Coming soon at this site: detailed agenda, list of speakers and suggestions for accommodations. Regular rate can start at $309 and more. They offer a group rate of approximately $269 king or double beds for a 15-room block. Regular rate is for a standard queen $198, for a master suite $248 and for a junior suite $224. Group rates are available. For a group of 40-50 people, the approximate rate would be $198 plus tax per night for all combinations of room types: 10 Junior Suites, 5 Master Suites and the rest Standard rooms. Regular rates for a standard room is $179/225, for a king room is $189/235, for a deluxe king it is $205/250, for a superior room is $235/285, for a 1 bedroom suite $265/315 and for a two bedroom suite $405/465. Group rates include: $179.00 for Victorian King Rooms (8 rooms available), $199.00 for Deluxe King (7 rooms), $239.00 for Superior King (8 rooms), $239.00 for Two Queen Bed Rooms (6 rooms), $249.00 for One Bedroom Suites with queen bed & pull out sofa (3 rooms). Regular rates (individual rates are under 8 rooms) are King size $219, and Queen size 189. For group rates, $179 for king and queen if reserving over 8 rooms. Link to "AIC conference at USF"
I've had really great experiences with airbnb and find that with multiple people, it ends up less than a hotel and with more features, like a kitchen and space to relax or socialize. 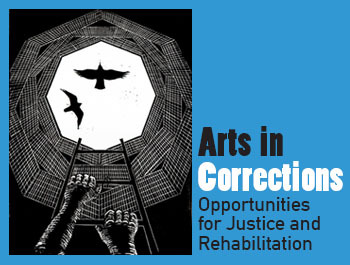 This four-day conference on prison arts will showcase best practices, review current research models and results, and offer insights into new developments and challenges. The intended audience includes experienced artists and expert practitioners as well as those who are new to the field, in addition to arts administrators, educators, and allied professionals from the mental health and criminal justice sectors, including psychologists, sociologists, lawyers, law enforcement officers and elected officials. Artists who are new to the field of corrections will have an opportunity to learn from experienced practitioners from different art disciplines, including dance, theatre, music, literary and visual arts. Navigating the Prison System, curriculum approaches for various arts disciplines, as well as mediation, restorative justice, communications and other life skills, will be discussed, as well as techniques for classroom management in the corrections environment. Lesley Currier, Marin Shakespeare Co.
USF President Father Paul Fitzgerald, S.J. Dr. James McCray, Executive Director, Tabernacle Community Development Corp.
Generative question: What do we need to do to be more effective and to develop our capacity in order to move the field forward? 9:00-10:00 State Perspectives on Arts and Justice – Where Do We Go From Here? Unless otherwise noted, all conference activities take place at USF’s McLaren Conference Center. To walk up to the McLaren Conference Center, enter the campus through the parking lot just east of the Gymnasium at 2345 Golden Gate Avenue. Free Parking is available for conference participants at the Koret Gym Parking Lot at the intersection of Turk and Parker Streets. Closest Muni Lines are the #5 Fulton, #38 Geary, #31 Balboa and #43 Masonic.